The future of cities is the topic of the Global Metro Summit today in Chicago, co-sponsored by Deutsche Bank’s LSE Cities (London School of Economics and Political Science) and Alfred Herrhausen Society as well as by the Brookings Institution. 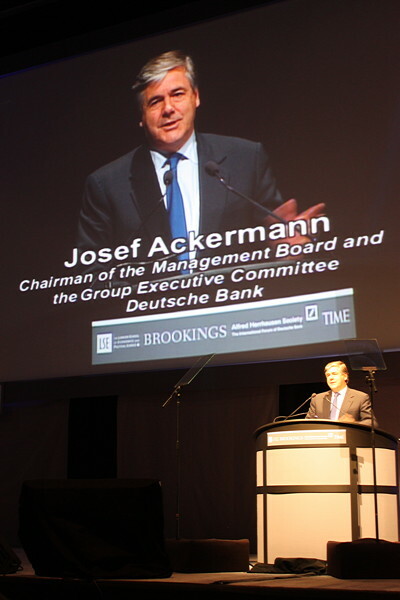 Subtitled “Delivering the Next Economy,” the two-day conference kicked off this morning with a keynote address by Dr. Josef Ackermann, Chairman and CEO of Deutsche Bank. He warned that to restore economic confidence globally there must be a rebalancing — among countries, and between public and private sectors — noting there is a 133% debt-to-global GDP expected in 2020, up from 100% now. Josef Ackermann of Deutsche Bank addresses the Global Metro Summit in Chicago, December 8, 2010. The next economy must be cleaner and more efficient while keeping climates intact. Urbanization is the defining trend of the early 21st century world —a global revolution that will change the way we live. By 2050, 70% of the world population will live in cities, most in megacities, more than 6 billion people. 3 questions: (1) Why green growth? Green growth equals national security. Investors seek 3 qualities: transparent, long-term, certain. 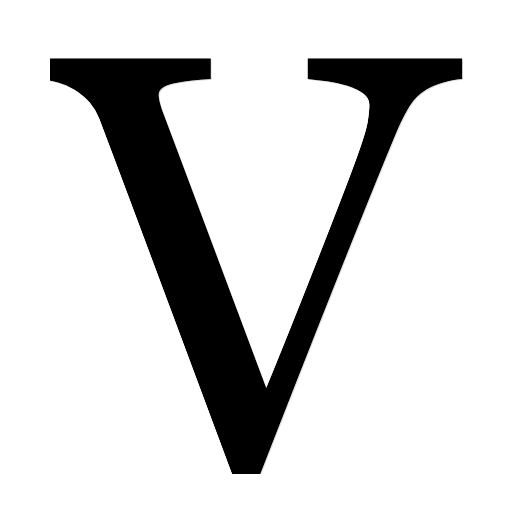 (2) Who will lead? China has the potential to become a major manufacturing hub for electric vehicles, making a $750 billion investment in next decade in this and related industries. The US has potential to lead, but to do so it must make bold decisions — and soon — to avoid falling behind the Chinese investments. A new world order is emerging, and innovation and investment in clean energy will bring greater independence and national security. (3) How to pay for the next economy? There are three imperatives: public and private sectors muct come together; there must be shared risks; and carbon markets need to be developed further. Barriers to investment need to be removed, and it is important to make public money go as far as possible. Robust carbon markets are the way forward. More nations need to adopt carbon constraints and to use energy trading markets to manage the carbon footprint. Why does a bank CEO think about green growth? Because it’s an exciting opportunity. We are asset maangers and risk mitigators around the globe — if we perform for our clients, we also perform for our shareholders. Nearly 3000 Deutsche Bank colleagues are moving to Frankfurt to create one of the most energy and resource efficient business centers in Europe. DB headquarters reduced its carbon footprint by 89%, with the goal of carbon neutrality by 2012. The challenge is huge, and so the opportunity. Investing $45 trillion by 2050 globally is a big ask, but we must collectively come up with solutions. Public and private sectors must work together toward the mutual benefits of succeeding — because green growth could be a second industrial revolution. “We must must make things again in the US,” a theme to which he continually returned, was underscored by his insistence that Americans must embrace science and technology on every level. Ronald J. Daniels, President of the Johns Hopkins University, reflected on the challenges of running a world-class research and education institution right next door to the realities depicted accurately by the television series The Wire. Derek Douglas, Special Assistant to the Obama White House, noted that this regionalization of economies is not strictly urban: 50% of all American rural areas lie within these identifiable metro regions. Jordi William Carnes, First Deputy Mayor of Barcelona, suggested that when it comes to slogans it’s time to move from “We Can” to “Do It.” He also gently chided Americans for our myopic xenophobia: “Don’t look only to yourselves — look around at the rest of the world” for ideas and solutions. Sergio Chiamparino, Mayor of Torino, noted that all four of the cities celebrated today (Torino, Barcelona, Munich, and Seoul) had hosted Olympic Games. (This stung a bit to hear in Chicago, after our recent campaign for the 2016 Olympics went nowhere.) He also insisted that manufacturing in 21st century cities needs not only to be modernized but transformed and diversified. He suggested that social cohesion within the metro was key to success. The philanthropic sector must also be engaged, and any urban leadership strategy must include the strongest and weakest elements of society or it isn’t leadership. Joan Clos of the UN observed that urban sprawl is a phenomenon of the rich: “If you are poor, you cannot sprawl.” 33% of all urban dwellers live in slums. Being attracted to cities is not quite the same thing, economically, as being pushed out of the country (for example, by agrarian “reforms”). In third-tier pre-industrial cities, people arrive from the country and end up worse off. In first-tier post-industrial cities, the problem is urban divide: some interesting jobs, the rest not very well-paid. The second tier consists of rapidly industrializing cities, like those in China. Richard Stengel of TIME Magazine chaired a discussion among three of the US’s greatest mayors: Antonio Villaraigosa of Los Angeles, Michael Nutter of Philadelphia, and Richard M Daley of Chicago, who was immediately lauded by Villagairosa as the greatest mayor in the country. I got the sense that it wasn’t just a guest flattering his host — he seemed to really mean it. 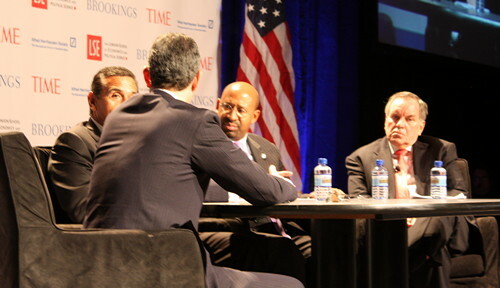 Facing, from left: Mayors Antonio Villagairosa of Los Angeles, Michael Nutter of Philadelphia, Richard M Daley of Chicago. Back to camera: Richard Stengel, TIME Magazine. Shortly afterward, Daley let loose with his traditional lack of orthodoxy: “Let the pensions go bankrupt, then let them reorganize.” [Daley later clarified his comment.] For every topic that arose he repeated: “All of our practices are old. We need to change and be flexible.” Nutter joined in on the pension theme: “Defined benefit plans in public service are unsustainable,” adding that the burden of the municipal balanced budget makes many givens of the past no longer givens. Villagairosa: “Democratic mayors have been unwilling to challenge labor leaders [who support them]. Let’s create a new model because the current system is broken.” Later, after this quasi-anti-Democratic tirade, Villagairosa went on an equally spirited riff about how Republicans are off in a universe of their own, insisting on cutting spending, balancing budgets, and offering massive tax cuts all at the same time. Finally, Stengel asked Daley how to make the US more like Chicago. He ended the summit by offering two essential ingredients: (1) Always welcome immigrants. (2) Always provide a learning environment. He was both as imperfect as any one of us and yet a truly great mayor. I, a quarter-century transplant to Chicago from the East Coast, will miss Mayor Daley’s presence in City Hall. Glad you covered the event. Josef Ackermann of Deutsche Bank gave a bankers global opinion of the world future economy and what will be required of us as a US nation to remain competitive. Micheal Vittali: really liked the way you synthesized the metro event. thanks for picking up on my critique of carbon-TRADING. Let me add the other half of this assertion of mine. We need far more than just moving the damage around: and in that sense cities and metro areas become strategic spaces for implementing actual carbon-REDUCING measures. There are other such strategic interventions: the protection of forests, eliminating plastic bags, etc. What is especially important about the city and the metro region is that we can begin to implement a very broad range of good practices: from localizing all kinds of productions rather than importing from far away, to using new scientific discoveries that allow us to use the biosphere rather than chemicals made in factories. Nice recap. Some great ideas. Must have been amazing to hear those three mayors together. Chicago rocks!